This upcoming week I will be participating in the World Science Festival in New York City as part of an exciting panel discussion entitled "It's All Relatives: The Science of Your Family Tree" with Genomic Scientist Catherine Ball of AncestryDNA, Geneticist/Anthropologist Mark D. Shriver, Geneticist/Anthropologist Brenna Henn and moderated by Broadcast Journalist Randall Pinkston. The event will be hosted by Louise Mirrer, CEO and President of the New-York Historical Society. Researching the farthest branches of your family tree is now faster, cheaper, more accessible and more accurate than ever before. Today you can find distant living relatives, learn how you are related to important historical figures or discover how your ancestors participated in major movements in human history. And, using advanced technologies to analyze face structure and skin pigmentation, evolutionary geneticists can determine what your ancestors actually looked like. Join a conversation among leading researchers about how gains in computational power, together with technological innovations, are allowing scientists to come ever closer to understanding how we are all connected. "It's All Relatives" will be held at the New-York Historical Society on Thursday, May 29th at 6:00 pm. Further information can be found and tickets purchased here. 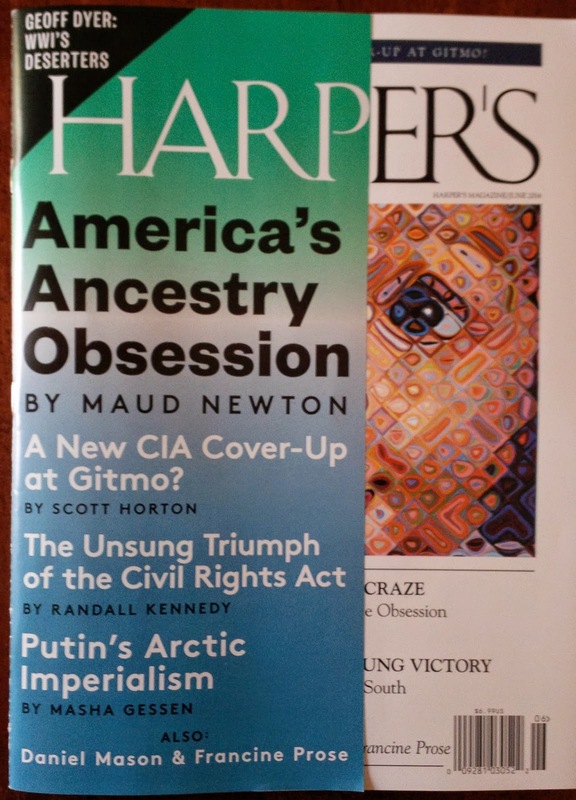 The lead story in this month's Harper's Magazine is "America's Ancestry Craze: Making Sense of America's Family Tree Obsession" by Maud Newton. It includes some details of my work excerpted from extensive discussions with the very talented author (and genealogist) last year. Maud will be following up with a book published by Random House to further investigate this subject that is near and dear to many of our hearts. The magazine can be found at select newsstands and is available to subscribers online. We are finally close to wrapping up the interviews for season two of the PBS series "Finding Your Roots with Henry Louis Gates, Jr." The season will begin to air Tuesday, September 23 and will include interviews with Ben Affleck, Sally Field, Derek Jeter, Deepak Chopra, Tina Fey, Valerie Jarrett, Carole King, Tony Kushner, Ken Burns, Angela Bassett, Alan Dershowitz, Ming Tsai, Aaron Sanchez, Tom Colicchio, Rebecca Lobo, Nas Jones, Billie Jean King, Stephen King, Courtney Vance and several others. This has been a huge undertaking for me since I am the only genetic genealogist working on the show and I analyze the results of all of the guests across three companies (AncestryDNA, 23andMe and Family Tree DNA). 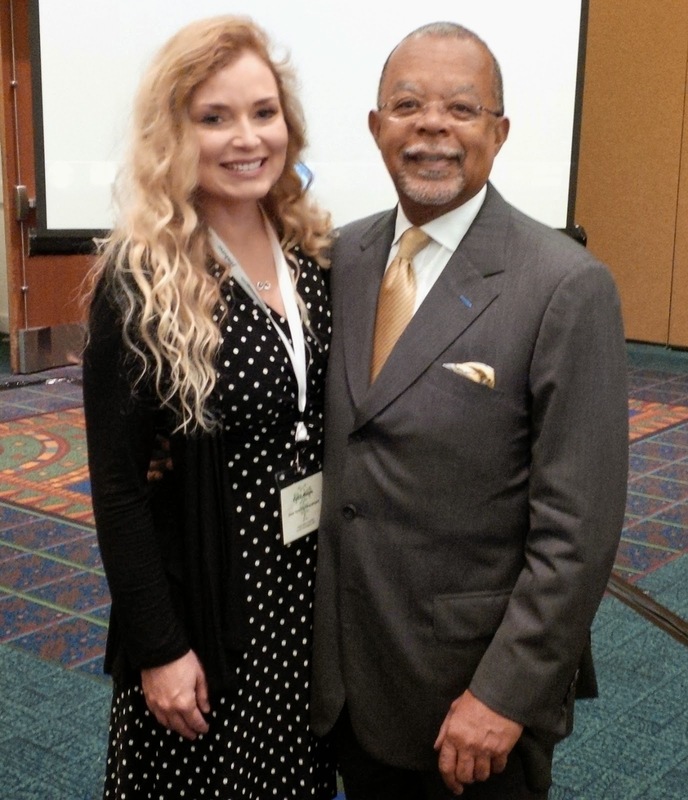 This upcoming month will be my year anniversary working with Professor Gates on the show and his personal genetic genealogy. It sure went by fast (even though I didn't get much sleep)! TH003 - Thursday 10:00 a.m. to 11:00 a.m. "Real World Stories from the Desk of a DNA Detective." DNA testing is revealing unexpected surprises in the trees of many genealogists, involving both immediate and more distant ancestors. These surprises often lead to fascinating stories that could never have been unearthed without DNA and this new-found knowledge has taught us that our family trees on paper may not always be the same as our true genetic genealogy. After learning of its potential to reveal and unravel complex family relationships, many are flocking to DNA testing to solve their own family mysteries. Actual cases from the presenter’s own files will be shared. TH017 - Thursday 3:30 p.m. to 4:30 p.m. "Autosomal DNA: Discovering Your Ancestors in You." As genealogists, we have all invested a significant amount of time and effort searching for information about our ancestors. Rapidly advancing genetic technologies have now made it possible to discover more about our ancestors and in ways we never could have imagined. CeCe will demonstrate the methods that the experts use to get the most out of their results, including chromosome mapping and applications for adoption and African American genealogy. Examples from CeCe's research will be shared to demonstrate the potential for using autosomal DNA to discover more about our ancestors. FR019 - Friday 4:00pm - 5:00pm. "Why Should I Take a DNA Test?" This is an introductory presentation for genealogists interested in venturing into DNA testing. It will cover the basics of the three types of DNA testing used for genealogy: Y-DNA, mtDNA and autosomal DNA as well as the pros and cons of the major companies offering services to the genealogy community. Come learn about the potential of DNA testing for opening doors and breaking down brick walls in your genealogy! I am also preparing for the upcoming Genealogical Research Institute of Pittsburgh course in July where I will be teaching with Blaine Bettinger, PhD, JD and Debbie Parker-Wayne, CG (course coordinator). The course sold out mere minutes after registration opened, so the GRIPitt administrators arranged for a second classroom. This will double our teaching load, but will allow many more people to benefit from this intensive, week-long education. Due to its popularity, we will be offering this course again in 2015 (twice). Tim Janzen and I are very happy with how planning is moving along for the I4GG conference. The conference will be held August 15-17 in Washington D.C. and is intended for a wide audience. We will have presentations geared for the beginner all the way through to the advanced genetic genealogist. I have heard quite a few people remark that they aren't advanced enough to attend, so I want to emphasize that everyone is welcome no matter what experience level they have with genetic genealogy. In addition to the more basic presentations like mine "The Four Types of DNA Used in Genetic Genealogy" (title subject to change), there will be workshops presented by both 23andMe and Family Tree DNA on Friday (AncestryDNA has also been invited to host a workshop). These workshops will undoubtedly be of great benefit to the less experienced attendees. I will be posting more updates about this conference in the next day or so. Angie Bush and I will be co-coordinating the "Advanced DNA Analysis Techniques" course for the Salt Lake Institute of Genealogy in January and I will also be teaching in the "Getting Started with Genetic Genealogy" course coordinated by Debbie Parker Wayne, CG. The advanced course has several prerequisites since it is intended for the intermediate to advanced genetic genealogist, but the "Getting Started" course is open to any level. Registration for both opens on June 14th at 9:00am (Mountain Time). I continue to work on several unknown parentage cases, such as the one involving Paul Fronczak (and others that remain private) with my team(s). These types of cases take a tremendous amount of time and effort, but are well worth it in the long run. I hope to have the opportunity to catch up with many of you soon! Only a 1000 thank you's are required from all of us DNA minions. I hope you get a vacation someday. A week in some remote place with no internet access. No phones. You'll be needing it,- although I'm sure you are already. Just wanted to say "Thank YOU". You even help us "Regular" folks. It's all worth it too when we get to see your Projects. Keep up your Strength. Take time for yourself. Always in my Thoughts and Prayers. Sounds like the Harper's article is winding up to paint a very unflatering and unfair picture of genealogists. Maybe I should be happy it's hidden behind a paywall. What makes you say that? I didn't get that impression at all. Considering the author is also a genealogist, I'm sure that was not her intention. If there are discussions going on in that regard, I would appreciate it if you could point me toward them.